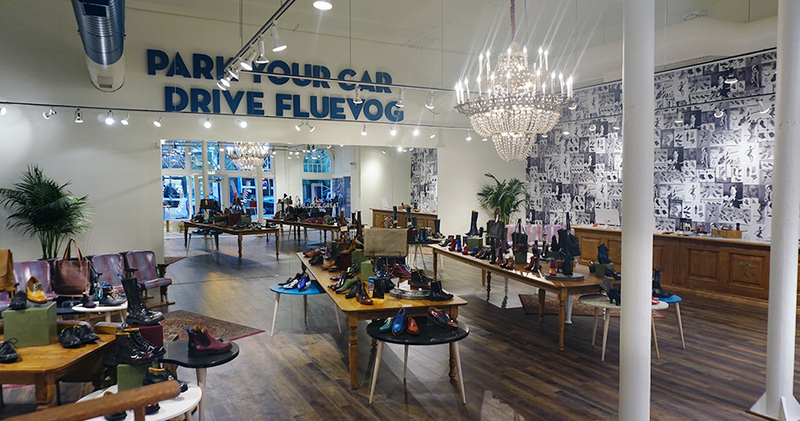 Located in the heart of Wicker Park, John Fluevog Shoes has been serving the good Fluevogers of Chicago since 1999. Originally a local movie theatre since the turn of the century, Fluevog Chicago is one of the largest senior stores of all the Fluevog locations and has the most delightful staff. 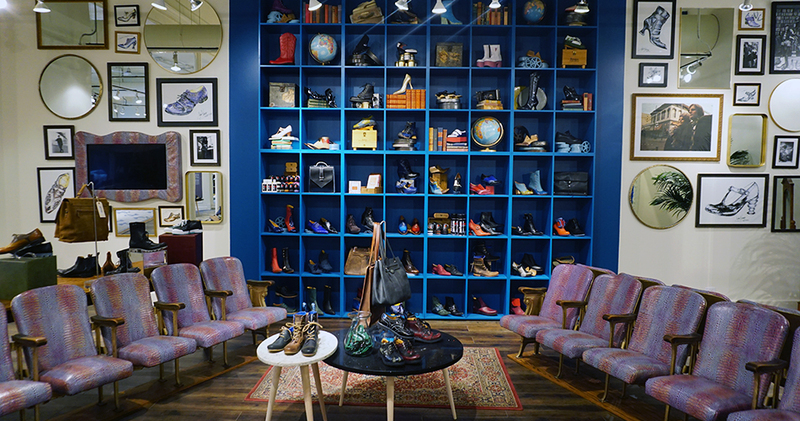 In August 2016, the store received a major and carefully executed facelift, leaving it with a wall full of vintage Fluevog ads and a custom shoe shine throne you can kick back in.